Jews have lived in Iran since the Babylonian exile, approximately 2,700 years ago. A result of the harsh rhetoric between Israel, the Jewish homeland, and Iran—especially since 1979—has been the masking of the fact that the largest Jewish community in the Middle East, outside of Israel, is the Iranian Jewish community. 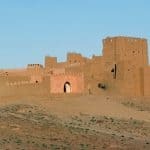 These Jews, unlike Soviet Jewry in the 1960s-1980s, are not trapped in Iran; rather, this community makes the conscious decision to stay in the country that they have called home for the past millennia. Our story begins at the turn of the 20th century with the 1906-1911 constitutional revolution. This revolution turned Iranians, for the first time, from subjects to citizens. And for Iranian Jews—and other minorities—the promise was great: putting them on par with the rest of Iranian society. However, the process was not without its difficulties and tribulations. At first, Majlis (Iranian Parliament) Jews and other minorities (aside from the Zoroastrians) were not allowed to represent themselves, and were forced to “elect” Muslims to represent them.1 In the last years of the Qajar dynasty (r. 1795-1925) Jews attempted to maximize upon the rights and promise of the constitutional period. 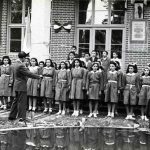 In those years, more and more Alliance schools began to open their doors, trying to train Iranian Jews and help them develop skills that would assist them in achieving upward mobility on the social ladder. 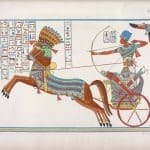 The Alliance Israélite Universelle schools taught languages and writing; which provided their pupils certain advantages in trade, bureaucracy, and access to higher education and training in Iran and abroad. In the years between the beginning of the constitutional period and the First World War, Jews came to realize that legal barriers were not the only obstacle standing between them and social assimilation. Yet, with WWI brewing and the emergence of political Zionism—things started to change for Iranian Jews in unexpected ways. Newly disillusioned with the outcome of the constitutional revolution, all of the sudden, the promise of relocating to a place of their own sounded rather tempting. Initially, the message of political Zionism struck a chord with Jewish Iranians in 1917, following the Balfour Declaration.2 Newly disillusioned with the outcome of the constitutional revolution, all of the sudden, the promise of relocating to a place of their own sounded rather tempting. Iranian Jews thus established Zionist associations to teach Hebrew and handle the preparations for a mass exodus. However, shortly after, in 1925 with the ascendance of Reza Pahlavi as the new Shah, overthrowing the Qajar dynasty and establishing a new national project envisioning a new Iranian society where religion and religious identity were secondary, Jews shelved their plans for relocation. Reza Shah repealed all laws that barred Jews (and other minorities) from living in certain areas, from engaging in specific occupations, and from joining the army. Jews had now become an equal part of the Iranian society. Zionism remained, but as a more clandestine operation. Zionist organizations could operate openly in some fields, yet were banned in others altogether. Starting in the 1920s, sympathies towards Zionism and different interpretations of Zionism started to split the various communities. For example, Shemuʾel Ḥayyim, a leader in the Jewish community, a Zionist, and the Jewish representative to the Majlis, had a harsh disagreement with another Jewish dignitary, Loqman Nahurai. While Nahurai espoused the interpretation, and perhaps practice, that Jews should join full force Zionist international organizations, Ḥayyim believed Zionism to be an overall positive development, but felt Iranian Jews should fight for their rights and status in Iran and not forfeit it for any messianic dream. Ḥayyim published a newspaper called haḤayyim (Life), in which he preached for integration efforts for the Jews, participation in the political sphere in Iran, and the development of a national consciousness. In a twist of fate, Ḥayyim was actually executed by Reza Shah on account of the false accusations of complying with an attempt to assassinate him. Consequently, any non-Iranian organized movement was banned from operating in Iran. At the same time, we start to witness Zionist and Israeli involvement in Jewish life in Iran. Zionist clubs and youth movements were active, yet, Iranian youth did not engage in Zionism, as some Israeli officials had hoped, as it was becoming more complex than it was in 1917. The twenty-five thousand Iranian Jews that had immigrated to Israel around 1948-1951 were the poorest and neediest of the Iranian Jewish communities. 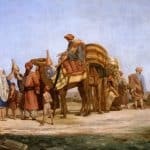 But there were myriad stories at that time of Jews who had immigrated and returned, or immigrated and wanted to return; the important thing to note, was that Iranian Jews overall had a sober idea of what was waiting for them on the other side of the Zionist story (unlike many of the other Middle Eastern Jews). Inevitably and undeniably, after 1948, the question of Zionism and the state of Israel became inseparable from any Jewish matter in Iran, no matter from which side of the spectrum—Zionist or non-Zionist. It had become increasingly important because of the function of Israel’s alliance with the Shah’s grand vision for Iran. This vision aimed for Iran’s allies to be from the West. Israel, as a Western country, represented much of what the Shah wanted for his own country. Iranian Jews, by association with Israel and by extension, became more vital and instrumental to his nation-building project, than perhaps he intended. 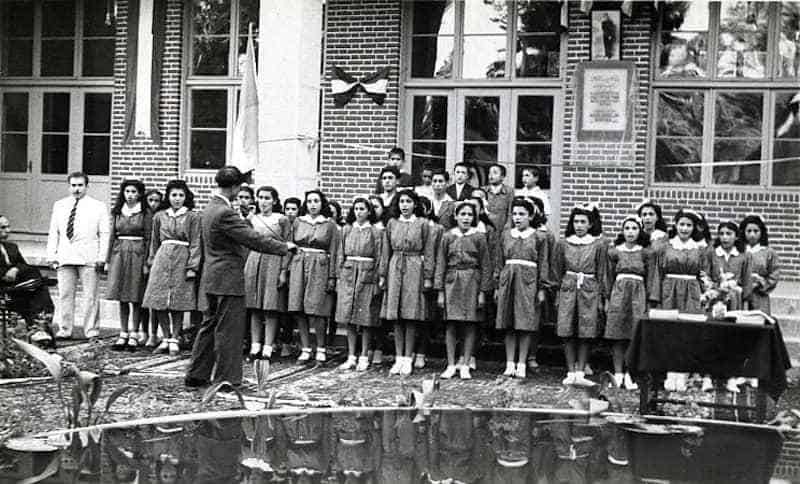 Community institutions such as Jewish schools had become very influential in shaping the Jewish-Iranian identity; be it the Alliance, ORT, or the Jewish-Iraqi school in Tehran: Ittefaq. These schools excelled in preparing their students for professional life in Iran, and in the 1960s Ittefaq was ranked the number one school in Iran in success rates in the national university entrance exams. Naturally, the Jewish schools were seen by many non-Jews as vehicles for social mobility. Indeed, in the 1960s and 1970s, we witness more and more non-Jews becoming part of the student bodies in these schools. Accordingly, social and cultural groups were invested in Jews. 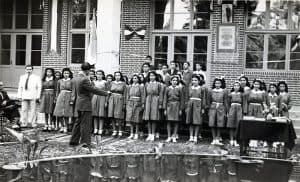 The Jewish schools were preparing the next generation of young Iranian professionals, and at the universities, Jews joined Jewish and non-Jewish student associations; some of them political (i.e. opposition), and others more cultural and literary. Israel had a substantive presence in Iran; which also helped Iranian Jews. Israeli companies worked in Iran and held government contracts; they worked in construction, agriculture, with the military, and industry, to name a few. And many times, when they required local employees these companies tended to hire Iranian Jews, providing further social mobility for the local Jewish community. This was further bolstered by the average of 18 weekly flights between Tel-Aviv and Tehran, helping to cultivate this intimate relationship. Let us ponder for a moment the memoir of Elias Eshaqian, a teacher and principal of Alliance schools in Iran for over 25 years: “Iran has been my vaṭan (homeland) and Jerusalem has been the source of my belief in God and qiblah (the direction of my prayers).”4 Here Eshaqian suggests, yet again, that many Iranian Jews differed from the Jewish Agency in their interpretation of Zionism. For Eshaqian, national Iranian identity did not interfere with his religious identity as a Jew. He proudly projected this combined identity throughout his career, which may have, in turn, inspired and encouraged his students. 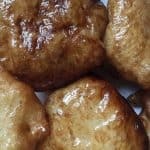 What happened with the Jews of Iran during the 1979 revolution? Jews were a part of the revolutionary movements as well. Some took part because they opposed the Shah, others because they belonged to student organizations, Tudeh, and other factions. And some supported it because they saw themselves as part of the Iranian masses revolting against an oppressive ruler. In that sense, their assimilation project had succeeded better than they could have ever imagined. During the protests of the 1970s, while the Tudeh Party’s activity was outlawed, two Jewish activists, Harun Parviz Yeshaʿya and ʿAziz Daneshrad, were jailed for anti-monarchical activity. After serving their time, they turned to the political arena within the Jewish community.5 Loyal to their leftist tendencies and religious identity, they gathered a dozen like-minded individuals and established the most significant Jewish organization in late 1970s Iran: Jami‘ah-i rawshanfikran-i kalimi-yi Iran (The Association of Jewish Iranian Intellectuals-AJII). In 1978, they challenged the old leadership of the community and won the community elections. They coordinated the Jewish participation in the Anti-Shah demonstration, where the number of participants was reportedly over 12,000. Iranian Jews had a place and a role in the Pahlavi vision of the Iranian Nation-Building project. He assigned them the role of building a bridge between Iran and the West. He also designated this same role for the Christian minorities (interestingly, the role of the Zoroastrians was to build a bridge between Iran and its past). 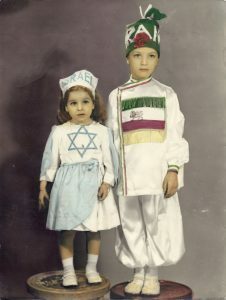 Hence, Iranian Jews joined the Tudeh Party, not to spite the Shah, but to allow themselves to be part of the greater Iranian society, which overwhelmingly supported the Tudeh. They took on the role of building a bridge between Israel and Iran, but refused to adopt the full identity of the Zionist mantle. They felt gratitude towards the Shah but greater loyalty to their past, culture, language, and society. At the end of the day, the project succeeded: they were one hundred percent Iranian. At the end of the day, the project succeeded: they were one hundred percent Iranian. After the revolution, Iranian Jews faced multiple challenges. The victory of the Islamic revolution and the quickly escalating conflict with Israel put the Jewish community in a fragile position at times. While early on, the leader of the revolution, Ayatollah Ruhollah Khomeini, made the distinction between Judaism and Zionism by declaring the former a legitimate protected religion in Iran and the latter as a political and ideological foe, Iranian Jews often had to avoid even minimal displays of affinity to Israel or Zionism. As mentioned above, Jews are not barred from leaving the country, despite Western imagination perceiving them perhaps in a similar position to that of Soviet Jewry during the darker years of the Cold War, or in a scene similar to Sally Field’s in Not Without my Daughter. The experience of Iranian Jews is remarkably different. They have been continuously represented by a Jewish deputy in the Majlis, and although they face some institutional and social discrimination (excluding religious practices), they have the means to appeal and get justice, they can worship freely and run their own affairs and institutions, and more. In short, the everyday life of Iranian Jewry is a far cry from being black or white. Janet Afary, The Iranian Constitutional Revolution, 1906-1911: Grassroots Democracy, Social Democracy and the Origins of Feminism (New York: Columbia University Press, 1996), 70. Ḥabīb Levī, Comprehensive History of the Jews of Iran: The Outset of the Diaspora (Costa Mesa, CA: Mazda Publishers, 1999), 510. See chapter 1 for more information on the social transformation of the Jewish community during WWII. 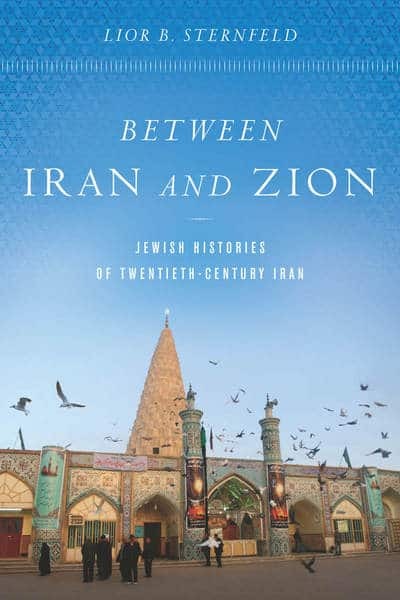 Lior B. Sternfeld, Between Iran and Zion: Jewish Histories of Twentieth-Century Iran (Stanford, California: Stanford University Press, 2019). Ilyās Isḥaqyān, Hamrāh Bā Farhang: Gūshahʹī Az Tārīkh-i Muʼassasah-i Ālyāns Dar Īrān/ Khāṭirāt-i Ilyās Isḥaqyān (Los Angeles, CA: Sina Publications, 2008), 441. David Menashri, “The Jews in Iran: Between the Shah and Khomeini,” in Anti-Semitism in Times of Crisis, ed. Sander Gilman (New York: New York University Press, 1991), 360. See chapter 4 on the 1979 revolution and the Jewish communities. Sternfeld, Between Iran and Zion.